Even as opioids flood American communities and fuel widespread addiction, hospitals are facing a dangerous shortage of the powerful painkillers for patients in acute pain, according to doctors, pharmacists and a coalition of health groups. The shortage, though more significant in some places than others, has left many hospitals and surgical centers scrambling to find enough injectable morphine, Dilaudid, and fentanyl -- drugs needed for patients undergoing surgery, fighting cancer or suffering traumatic injuries. The shortfall, which has intensified since last summer, was triggered by manufacturing setbacks and a government effort to reduce addiction by restricting drug production. As a result, hospital pharmacists are working long hours to find alternatives, forcing nurses to administer second-choice drugs or deliver standard drugs differently. That raises the risk of mistakes -- and already has led to at least a few instances in which patients received potentially harmful doses, according to the nonprofit Institute for Safe Medication Practices, which works with health care providers to promote patient safety. In the institute's survey of hospital pharmacists last year, one provider reported that a patient received five times the appropriate amount of morphine when a smaller-dose vial was out of stock. In another case, a patient was mistakenly given too much sufentanil, which is about 10 times more powerful than fentanyl, which was the ideal medication for that situation. In response to the shortages, doctors in states as far-flung as California, Illinois, and Alabama are improvising the best they can. Some patients are receiving less potent medications like acetaminophen or muscle relaxants as hospitals direct their scant supplies to higher-priority cases. Others patients are languishing in pain because preferred, more powerful medications aren't available, or because they have to wait for substitute oral drugs to kick in. In a Feb. 27 letter to the U.S. Drug Enforcement Administration, a coalition of professional medical groups -- including the American Hospital Association, the American Society of Clinical Oncology and the American Society of Health-System Pharmacists -- said the shortages "increase the risk of medical errors" and are "potentially life-threatening." In addition, "having diminished supply of these critical drugs, or no supply at all, can cause suboptimal pain control or sedation for patients," the group wrote. The shortages involve pre-filled syringes of these drugs, as well as small ampules and vials of liquid medication that can be added to bags of intravenous fluids. Giving the wrong dose of morphine, for example, "can lead to severe harm or fatalities," explained Mike Ganio, a medication safety expert at the American Society of Health-System Pharmacists. Marchelle Vernell, a nurse at St. Louis University Hospital in Missouri, said it would be easy for medical mistakes to occur during a shortage. For instance, in a fast-paced environment, a nurse could forget to program an electronic pump for the appropriate dose when given a mix of intravenous fluids and medication to which she was unaccustomed. "The system has been set up safely for the drugs and the care processes that we ordinarily use," said Dr. Beverly Philip, Vice President for Scientific Affairs at the American Society of Anesthesiologists. "You change those drugs, and you change those care processes, and the safety that we had built in is just not there anymore." Chicago-based Marti Smith, a nurse, and spokeswoman for the National Nurses United union offered an example. "If your drug comes in a prefilled syringe and at one milligram, and you need to give one milligram, it's easy," she said. "But if you have to pull it out of a 25-milligram vial, you know, it's not that we're not smart enough to figure it out, it just adds another layer of possible error." That followed a February 2017 report by the U.S. Food and Drug Administration that found significant violations at the McPherson plant. The agency cited "visible particulates" floating in the liquid medications and a "significant loss of control in your manufacturing process [that] represents a severe risk of harm to patients." Pfizer said, however, that the FDA report wasn't the impetus for the factory upgrades. 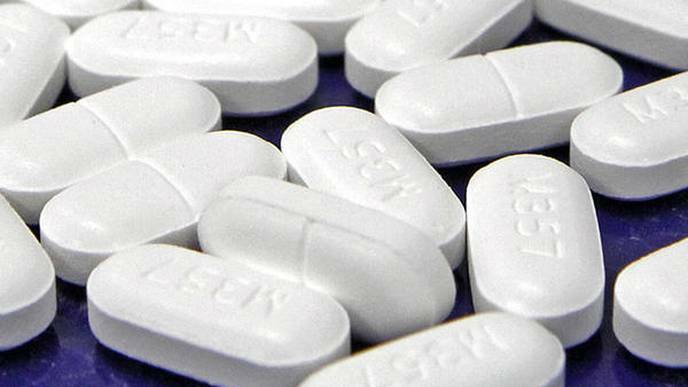 Other liquid opioid manufacturers, including West-Ward Pharmaceuticals and Fresenius Kabi, are deluged with backorders, Fox said. Importing these heavily regulated narcotics from other countries is unprecedented and unlikely, she added, in part because it would require federal approval. "DEA must balance the production of what is needed for legitimate use against the production of an excessive amount of these potentially harmful substances," the agency said in August. The shortages are not being felt evenly across all hospitals. Dr. Melissa Dillmon, a medical oncologist at the Harbin Clinic in Rome, Georgia, said that by shopping around for other suppliers and using pill forms of the painkillers, her cancer patients are getting the pain relief they need. Dr. Shalini Shah, the head of pain medicine at the University of California-Irvine health system, pulled together a team of 20 people in January to figure out how to meet patients' needs. The group meets for an hour twice a week. "We essentially have to ration to patients that are most vulnerable," Shah said. Two other California hospital systems, Kaiser Permanente and Dignity Health in Sacramento, confirmed they're experiencing shortages, and that staff are being judicious with their supplies and using alternative medications when necessary. At Helen Keller Hospital's emergency department in Sheffield, Alabama, earlier this month, a 20-year-old showed up with second-degree burns. Dr. Hamad Husainy said he didn't have what he needed to keep her out of pain. Because Husainy's patient was a former opioid user, she had a higher tolerance to the drugs. She needed something strong like Dilaudid to keep her out of pain during a two-hour ride to a burn center, he said. "It really posed a problem," said Husainy, who was certain she was in pain even after giving her several doses of the less potent morphine. "We did what we could, the best that we could," he said. Vernell, the St. Louis nurse, said some trauma patients have had to wait 30 minutes before getting pain relief because of the shortages. "That's too long," said Vernell, a former intensive care nurse who now works in radiology. Dr. Howie Mell, an emergency physician in Chicago, said his large hospital system, which he declined to name, hasn't had Dilaudid since January. Morphine is being set aside for patients who need surgery, he said, and the facility has about a week's supply of fentanyl. Mell, who is also a spokesman for the American College of Emergency Physicians, said some emergency departments are considering using nitrous oxide, or "laughing gas" to manage patient pain, he said. When Mell first heard about the shortage six months ago, he thought a nationwide scarcity of the widely-used drugs would force policymakers to "come up with a solution" before it became dire. "But they didn't," he said.